QRs, or Quick Response Codes, were developed for the automobile industry in Japan to streamline production. A QR code is a square shaped object that is populated with a unique arrangement of smaller black squares on a white background. There are tools, such as the QR Code Generator, that now allow you to colour QR codes or incorporate recognizable icons with watermarks. The QR square patterns are read by a QR code reader software (app) on a digital camera or web camera. QR code readers are freely available and ready to use on any device with a camera. Most products from milk cartons to concert tickets include a QR code to link to additional information such as coupons, directions, forms or videos. QR code readers are usually designed for hand held devices, although there are several options for laptops and workstations (see the QR Code Readers reference section below). Essentially the-end user (student, teacher, and parent) opens the app or software and points the camera at the QR square. The QR reader opens the resources specified by the QR code. I have provided links to three QR code readers in the Additional Resources section below. The QR Code Generator is a simple place to start. There are three simple steps to create a QR code. 1) The instructor selects the resource genre that the QR code will open. Some of the options provided are: URL (web address), mp3, text, email, SMS, Facebook, Image, PDF and image. 2) They then paste or type in the required information. Usually this is the web address to the resource. 3) Finally, they press the Create QR code button. The QR Stuff QR code generator provides instructors with many options for the type of resource to be opened such as colourizing the QR code, graphical visual options and output options. Visit QRstuff to view their menu options. The simplicity of QR code generators makes the experience fast. After the code is generated, it can be downloaded to your computer or copied and pasted into your document or placed into your blog or class homepage. There are limitless possibilities. I suggest that instructors new to QR codes should attempt less ambitious tasks with their students. It will allow the instructor and the students to become comfortable with this technology with low risk tasks and activities. Here are five ways to quickly and easily use QR codes. Generate QR codes for specific documents or activities hosted on your class website. Paste the QR codes on review sheets to make course review more efficient. Ask the students to email you a QR code that links to a document, blog post or social media post that satisfies an assignment. Project a QR code on the front screen so the students can use their hand held devices (phones) to access an activity such as a specific Quizlet word list or a Kahoot game. Paste QR codes on worksheets instead of web links. Students can use a QR code reader to quickly link to the resource instead of typing in the web address on their portable device. Challenge the students to create a scavenger hunt using a global positioning system, GPS, resources such as Google Maps. Students can create a sequence of locations and present them with QR codes. They then challenge their peers to locate the destinations and guess the common theme of their chosen locations. There are so many QR codes offered for free with flexible and limitless possibilities for educators. I hope that some of you give them a try. 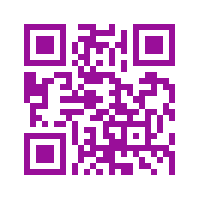 If you try QR codes with your students or have already used them, comment below so we can learn from your experience. I have create a quick how to sheet for generating QR codes for instructors.